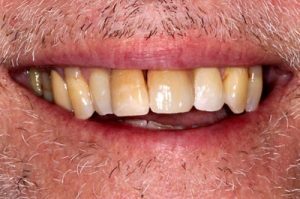 Jeff lost a front tooth and wanted a solution that would feel natural and be long-lasting. 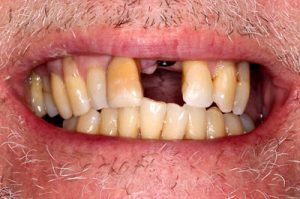 A dental implant was placed in the area of the missing tooth. A crown was secured to it. The patient is thrilled with the result. He will now be able to bite into apples and corn on the cob again!